It’s easy to come up with my top 3, less easy to put the rest in any meaningful order, so I’ll leave it at that. 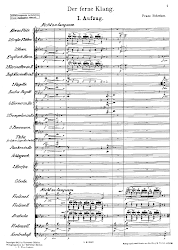 Titles hotlink to my original reviews where they appear online, on this blog or at Bachtrack.com (two, the Rheingold and Lohengrin, won’t appear until the March 2017 Wagner Journal). 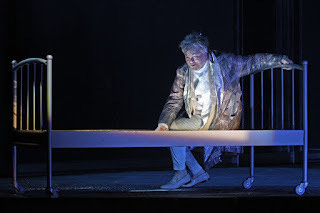 My first return to Bayreuth after a quarter-century's absence was made by the fourth year of Frank Castorf’s ‘post-dramatic’ Ring – a gripping monument to contemporary theatre, superbly cast – especially the Brünnhilde of Catherine Foster and Wotan/Wanderer of John Lundgren – and conducted with fire by the veteran Marek Janowski, belatedly making his Bayreuth debut. A rare revival of Zemlinsky’s long-forgotten second opera was given a memorable staging by Hannover Opera, with Robert Künzli (left) magnificent in the title role and some glorious playing from the pit. Yes, more Frank Castorf, and very much from the same cut as his Ring. Another miracle of stagecraft and rethinking, completely changing one’s view of Gounod’s French Romantic warhorse. Oedipe (Enescu) – Royal Opera House, London. Simplicius Simplicissimus (Hartmann) – Independent Opera @ Sadler’s Wells, London. Triumphant first UK staging of Karl Amadeus Hartmann’s hard-hitting 1930s opera. The Importance of Being Earnest (Barry) – Royal Opera @ Barbican Theatre, London. Hilarious revival of the ROH production. 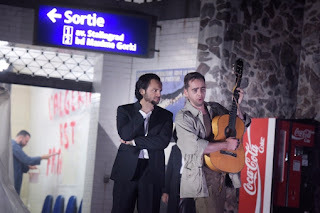 Das Rheingold – Badisches Staatstheater Karlsruhe (dir. Hermann). Karlsruhe’s four-director Ring launched with this opener that manages to tell the whole story of the cycle. My first introduction to this company – a high-powered performance in a tiny theatre. The first production by Tatjana Gürbaca that has worked for me, with first-rate musical contribution. Otello – Deutsche Oper am Rhein, Düsseldorf (dir. Thalheimer). Minimalist staging that gets to the heart of the tragedy. Holofernes (Reznicek) – Theater Bonn – an overblown production of a very poor piece. Der König Kandaules (Zemlinsky) – Flanders Opera – an even more overblown production that spoilt a very fine piece.